"When I was in the ophthalmologist's office my eye pressure was 30 mmHg, and when I was in my optometrist's office (who also happens to be a good friend and strongly believes in alternative, natural eye care), my eye pressure was 20 mmHg. 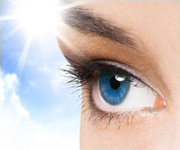 The intraocular pressure readings were taken one day apart, at the same time in the morning." I know several people in our self-tonometry research group who have had experiences very, very similar to this. I have seen it myself. Typically, this is due to stress. It is typically not, as skeptics like to immediately assume, due to errors in measurement or equipment. Often, both patient and physician are very pleased if a combination of drugs and/or surgery reduce intraocular pressure by 10 mmHg. A change of this magnitude is highly significant. My own experience, and the experience of many other people doing self-tonometry, is that our inner state (our thoughts and emotions) are capable of producing intraocular pressure changes in excess of 10 mmHg. In some ways this is a shocking finding because, A) in general, the field of ophthalmology does not recognize or admit that this is even possible -- that stress affects IOP, and B) the magnitude of the change is often similar to the changes produced by the most powerful treatments (drugs and surgery) available in allopathic medicine. Let me call this inner state that includes our thoughts and emotions our "state of consciousness." The effect of our state of consciousness on our intraocular pressure is one of the most profound of all the factors influencing eye pressure. The effect of our state of consciousness on our intraocular pressure works both ways. It can raise IOP or it can lower IOP. The intraocular pressure changes it produces can be lightening quick. On the other hand they can also persist over long periods of time -- even full lifetimes. Discovering the effect of your state of consciousness on your intraocular pressure can be difficult. Because we exist in that state of consciousness, objectively observing our state of consciousness is tricky. I have given examples in prior blog posts from my own experience. I was open minded on the subject and I was seriously entertaining his suggestion. His suggestion was not true, and I arrived at this irrefutable conclusion only after carefully considering the evidence. That which is doing the perceiving encounters a challenge when it must become the object of its own perception. Intraocular pressure data alone is not enough to make consciousness's role in elevated intraocular pressure obvious to us. Fortunately, I have a fairly solid interdisciplinary background in health care as well as the experience of more than a decade of research in consciousness. Eventually I began to connect the dots. When I did, I was able to see that our state of consciousness is one of the most profound of all the factors influencing our intraocular pressure. In order to verify this for yourself, you need a professional quality tonometer, good research and analytical skills, and, most importantly, you need the skill of being able to turn your attention on to your consciousness without the ego inserting itself into this process. This type of research is perfectly suited for self-tonometry because our individual human mind has better capabilities for objectively studying our internal state of consciousness than any current scientific instruments. However, in order to conduct this type of research, the individual human mind has to be trained. You can't conduct proper statistical analysis without training. Likewise, you cannot conduct proper research in consciousness without formal training. Unfortunately, at this time it is uncommon to find individuals who are capable of performing self-tonometry and who also have a high level of mastery of mindfulness or "insight practice". If I know the values of these four parameters, I can accurately predict my own intraocular pressure just from their values. For example, let's say it is 10 PM, I am seated and I have not been lying down, I just completed a one hour walk at a light intensity of physical exertion, and my state of consciousness is X (where a full definition would be lengthy, but in summary I am free of any negative emotions or thoughts). From that knowledge alone I can tell you that my IOP will be 10 mm Hg (plus or minus 2 mmHg). I have never seen this formula fail. 2009 UPDATE: Breathing should probably be incorporated into this formula as a distinct fifth variable. While it is true that state of consciousness includes breathing in the broadest sense, upon reflection, I think breathing deserves explicit inclusion in the formula. In arriving at this simplified formula, I considered the non-medical factors that have the most obvious impact on my eye pressure. In truth, everything matters and concepts or mental constructs will always be limited in some ways. However, concepts can be useful teaching tools. With that in mind, let me describe my experience in coming up with this formula. I found that it does not matter when I last took any glaucoma medication (see caveats about medication timing), nor does it matter what I ate or drank (as long as I didn't consume a massive amount of water shortly prior to the IOP measurement). It does not matter what vitamin supplements I took. It does not much matter whether I used the computer a lot or a little during the day. Not much of anything else has a substantial impact on my intraocular pressure. If I know only these four things, I can accurately estimate my intraocular pressure. 2009 UPDATE: In the time since I originally wrote this article, a couple things have happened. First, my eye pressure is immensely more well-controlled. I have come up with a system that works for me. On the basis of having such well-controlled eye pressure now, I can better see the effects of factors that were previously overwhelmed by the larger influences of stress (state of consciousness) and the other things I mention in this article. For example, I can now clearly measure the effect of medication timing on my intraocular pressure the next day. However, the article, as written, is still valid because the factors I describe here are the ones that allowed me to understand the patterns of my elevated intraocular pressure -- and they are the factors that I ultimately used to greatly reduce my eye pressure. The additional things such as medication timing are now of greater interest to me because I can fine tune my program. While I do think medication timing can make a difference of a few mmHg in IOP, I doubt it can make a 50% difference. In my experience, however, state of consciousness can easily produce a 50% change in eye pressure for me and many other people I know. As I mentioned above, state of consciousness is usually not fully observable. We can tell when we are angry or stressed or happy. We usually cannot penetrate past the ego to get a full picture of our state of consciousness, however. So state of consciousness is usually not fully observable. The degree to which we can objectively observe it depends on our training and skill in doing so. Before I reached my current level of skill in observing my state of consciousness I struggled to accurately predict my IOP using the four factors I mention above, so I don't expect others to immediately be able to replicate my results. But anyone can achieve these skills and anyone can do exactly what I am doing. I have mentioned on FitEyes.com many times that Serene Impulse is the single most important tool I have found for understanding my state of consciousness, gaining insights related to consciousness and generally accomplishing all my goals for "self-improvement" (see footnote). Of the four factors listed above, our state of consciousness (which includes our state of stress) is one of the most powerful and most important. Let's examine each of these four factors in order of those that we can manipulate from the least to the most. Although time of day exerts a very large effect on IOP, we cannot change what time it is. The clock keeps ticking, the earth spins on its axis, and the cycles of biology and nature proceed without fail. If it is 10 AM and I want to achieve an IOP level similar to my 10 PM level, I cannot manipulate time in order to accomplish that desire. However, I can utilize time of day to my benefit in managing my eye pressure by following an appropriate daily routine (called dinacharya in Ayurveda). Getting in tune with the daily cycles of nature does help me manage my IOP, but the effect is fairly subtle compared to the effect of stress. My posture is something I can manipulate to a certain degree. However, it is desirable to lie down to sleep and I would not consider altering this. Therefore, I assume that I will be in an upright posture most of the day and in an horizontal posture most of the night. Therefore, I do not utilize gross postural alterations as a tool for managing my intraocular pressure. (Some people try to sleep sitting up, but I think the potential side effects, such as less blood flow to the brain and eyes, make this strategy unsuitable for me.) 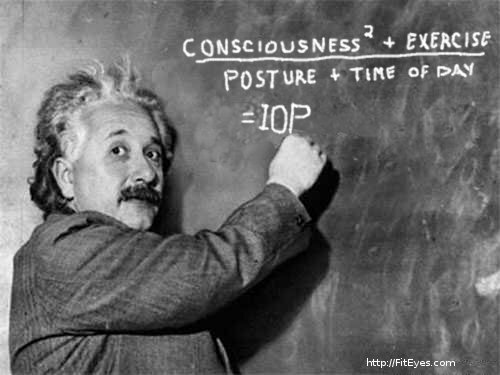 However, I do use subtle postural effects to help me manage my intraocular pressure. For example, I just finished the eighth of ten sessions of Rolfing yesterday. And I have repeatedly measured the effect of subtle postural variations on eye pressure during and after my Serene Impulse practice. Furthermore, I know that chronic tension in certain muscles (especially the neck) are an important issue for any glaucoma patient to investigate with their health care professional. Chronic tension in the neck muscles can be related to poor posture, and all this deserves some attention. But those are more subtle effects. In this article I am focusing on the non-medical factors that exert greatest effect on my intraocular pressure. Gross postural changes is one of those factors, but I choose not to alter my pattern of lying down to sleep! In contrast, exercise is a tool I use to manage my intraocular pressure. It is the first non-medical factor I measured that had an immediate effect on my eye pressure. I have written previously about weight lifting's effect on eye pressure. Exercise is a powerful tool at our disposal and I utilize it as much as I can to manage my intraocular pressure; however, there are limits to how much we can exercise. That brings me to consciousness as a factor in this formula. This is the one factor that can be applied without limit (as long as we develop the skills to do so). It is the one factor that can help me manage my intraocular pressure at any time of day, in any posture, while waking or sleeping. Its effect is both immediate as well as long term. And it is fundamentally the foundation of our health. Just as some great scientists have said that it is not possible to formulate our modern scientific theory of physics without reference to consciousness, it is likewise not possible to restore true balance to our elevated intraocular pressure without acquiring skills of consciousness (such as egoless present moment awareness and loving what is). I have found self-tonometry to be an incredible powerful adjunct to acquiring those skills of consciousness. But one doesn't acquire the skills automatically - it requires studying the relevant knowledge, and that's a large part of what FitEyes.com is about. In my experience, books and courses by Eckhart Tolle and Byron Katie have been very helpful. So has the practice of Serene Impulse, a formal technique for inner fitness. Mindfulness practices and other similar mental techniques as well as physically-oriented programs such as Tai Chi are very helpful. By utilizing these skills, I find myself able to sit in a chair (or lie in bed) and, without doing anything other than changing my state of consciousness, I am able to change my intraocular pressure by as much as 10 mmHg within a matter of a minute or two. I can change it up or down. There are definite limits to my skill -- for the moment. For example, if we were talking about mathematics, I would say I am at the point where I have the skill to solve simple mathematical problems; but if I faced the more challenging math problems, I would fail. To put this in terms of intraocular pressure, I can definitely control my IOP with my mind -- but only under ideal circumstances. My skill is not yet sufficient to let me master the most difficult challenges. For example, if my bank called me right now and informed me of a serious financial problem, my emotions would kick in and before long (if the problem was real and serious and large) my IOP would be elevated. But my skills are improving and things that would have elevated my eye pressure last year do not elevate it today. As a closing note, I will add that even the most powerful glaucoma medications are often not up to challenges of strong emotions either. For many people, the effect of consciousness (including emotions) is so powerful that it can elevate one's IOP even as one keeps on putting additional and more powerful glaucoma eye drops in one's eyes. The eye drops certainly help, but the emotions can simply overpower the medications at times. Because our state of consciousness (including stress and our emotions) is both powerful as well as something we can learn to manage, this is the primary focus in my research on intraocular pressure. Everything else is of less importance. Footnote: Why did I quote self-improvement in this article? Because the ultimate goals is destruction of the false sense of self! But that is off topic for this article.